Cauli rice with fresh cucumber, tomatoes, red onion, herbs & lemon, served with beef skewers. Cauli rice: Place a pan on medium-high heat with a drizzle of olive oil. Add the grated cauliflower and sauté for 4-5 minutes. Season with salt and pepper. Cauli rice salad: Mix together the cauli rice, cucumber, tomatoes, red onion, fresh mint and parsley. Add the lemon zest and the REST of the juice, season with salt and pepper and drizzle with olive oil. 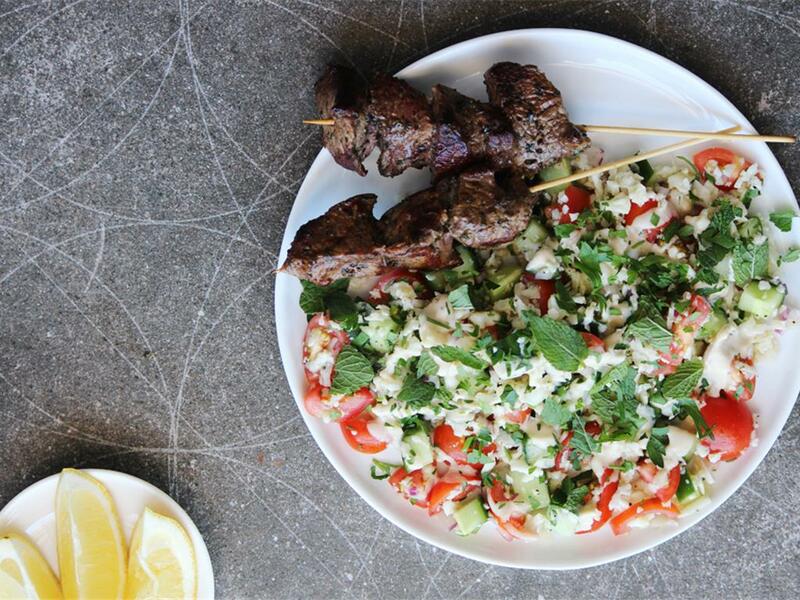 Serve the skewers with the salad on the side and drizzle over the tahini.